To make the cordial, heat the oven to 180C/fan 160C/gas 4. Put the blackberries, apple chunks, sugar, lemon and mint in a dish with 400ml water and bake in the oven for 30-45 minutes, until the fruit gives up its juice and the sugar has dissolved. Strain and leave to cool. 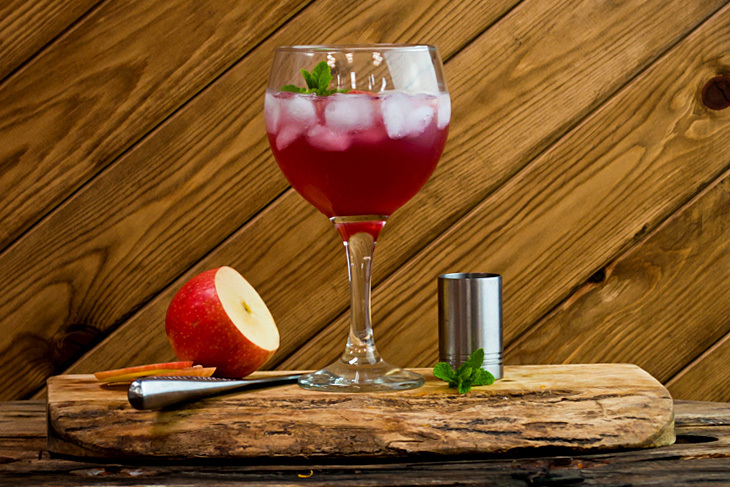 To make the cocktail, Fill your copa glass with ice, pour in the Gin and your homemade cordial, then top with cider and gently mix together. Garnish with a thin slice of apple, a sprig of mint and a blackberry.